Bonjour Scrap ! : Is it a mini or a card holder ? 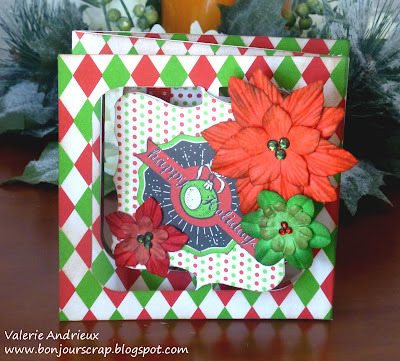 The Sizzix die I used to create this project is a mini album die... But I can create whatever I want with it, right ? So I did a gift card holder ! When you open it, the central parts flip and reveal the card. 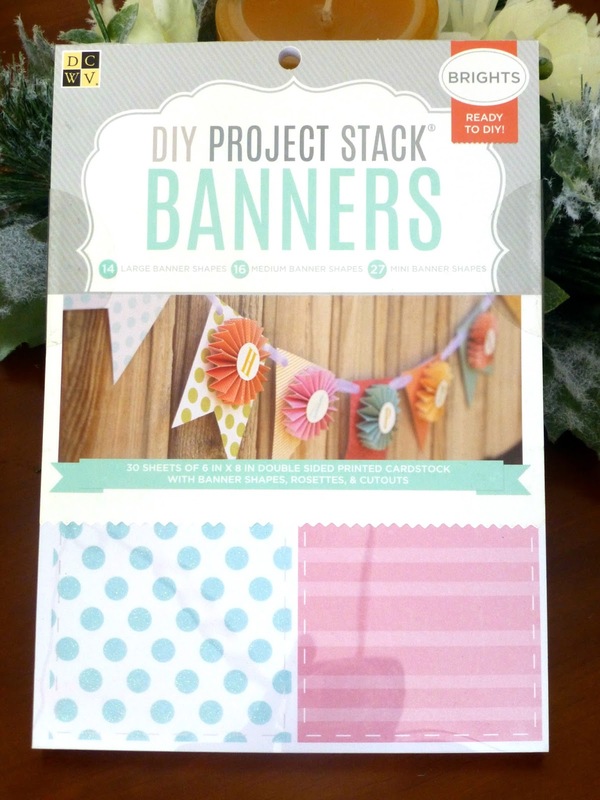 You will need 6 die cuts to create this project. ﻿Today is the last day to enter my first Christmas giveaway, so follow and comment on the gift card holder's posts for a chance to win this beautiful banners stack by DCWV ! The winner will be announced tomorrow, as well as the new price for Christmas...Stay tune ! Oh this is so darling! I love the cut out part. 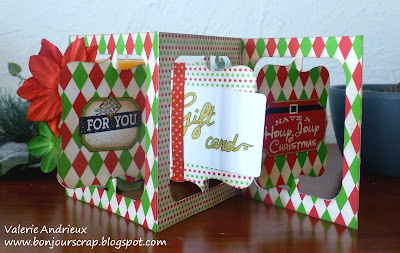 I never knew there were so many ways to make these gift card holders. You rocked them all.